As we transition from spring to summer, the weather simply becomes an unpredictable mess here in NYC. For example, just this past week, we went from 70's and gorgeous to low 60's and rainy. This is why it's so essential to arm yourself with transitional materials that can take you in whichever direction Mother Nature's mood swings are headed, like denim! 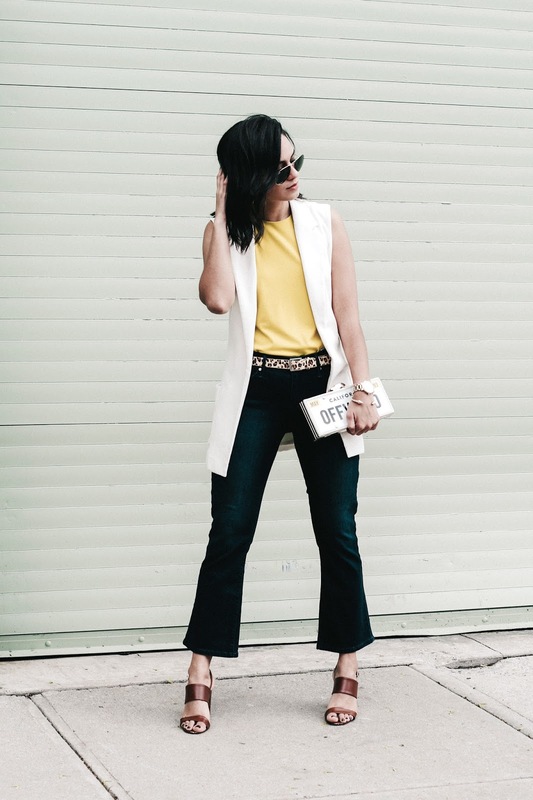 In partnership with DENIZEN® from Levi's® jeans, today I'm sharing three ways to style jeans this spring. From the office, to the happy hour or even the beach, DENIZEN® jeans are fused with Essential Stretch, designed to keep you feeling comfortable without sacrificing your sense of style or budget wherever you're off to next. 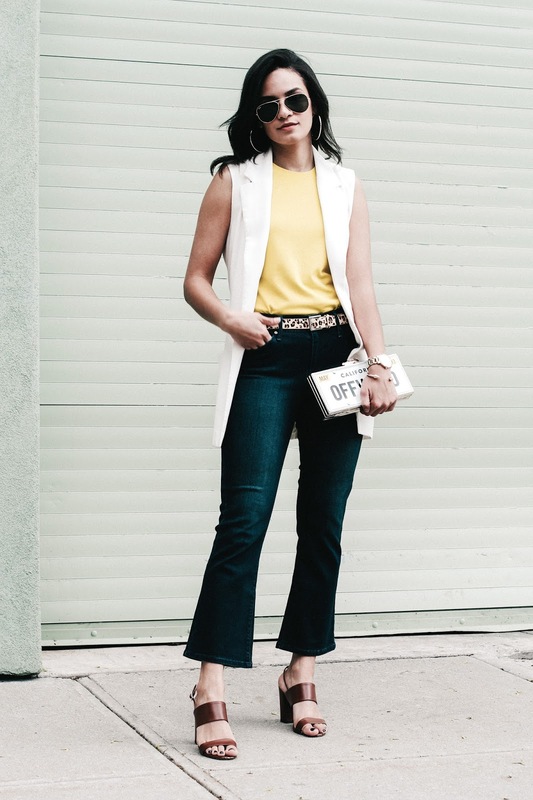 And as you guys know, style, comfort and budget are my top priorities when putting together an outfit, which made the below three DENIZEN® jeans my go-to for the season! You can try them yourself at Target. 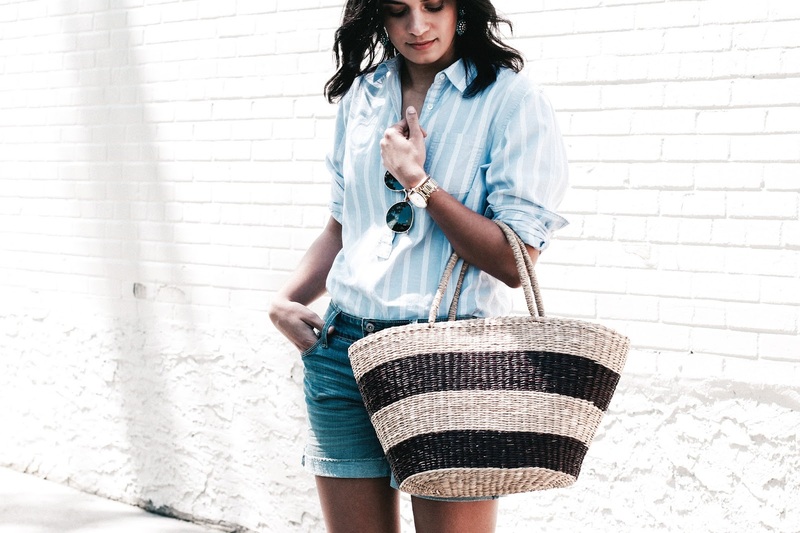 My single favorite spring-to-summer piece ever is a great pair of shorts! They're just so easy to throw on and keep comfortable wherever you're headed. 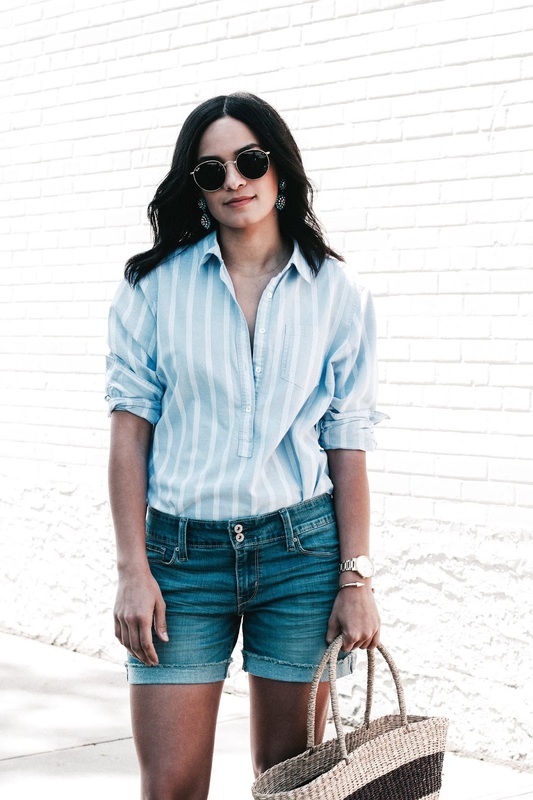 Here I styled the Modern Shorts with touches of blue (via these Shoedazzle mules and striped button down) and a straw tote, for a look that can easily take you from brunch to the beach. These bad boys are so ultra soft they essentially slide on by themselves! 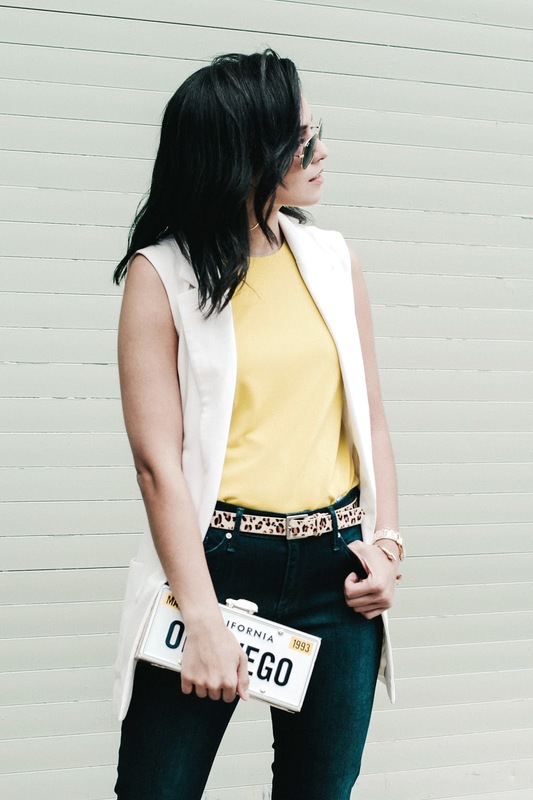 Shorts might not be allowed at the office (*single tear*) but cute skinnies sure are! 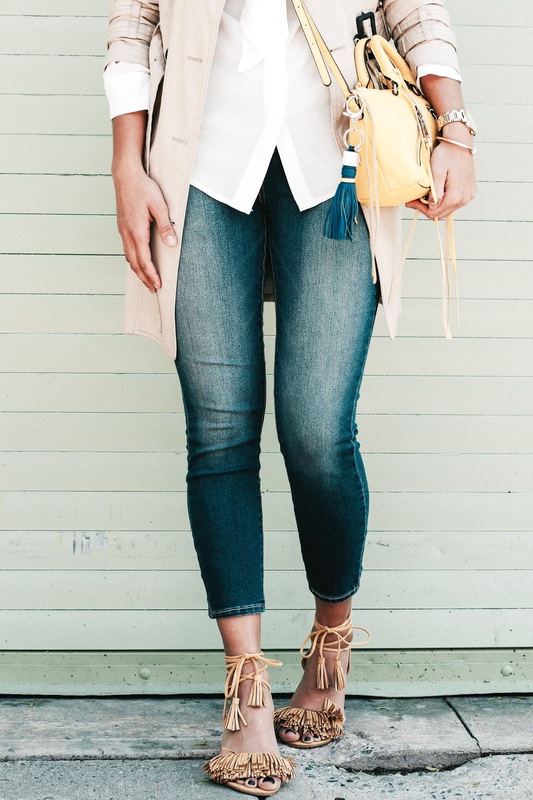 Keep things business casual without sacrificing your sense of style with the Modern Ankle Skinny jeans, a pair of cheerful JustFab tassel heels and a fun bag! With this look, how can you not win employee of the month?! Ready to hit the town with your gals? 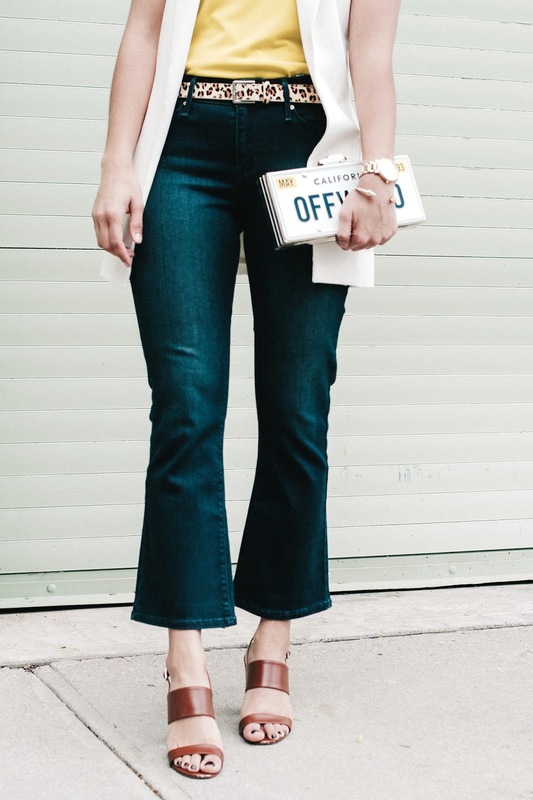 Slip into the Modern Cropped Flare and your favorite block heels, grab a fun box clutch and you're ready to salsa the night away with denim that moves with you; while keeping its shape intact! That's all for now m'ladies! 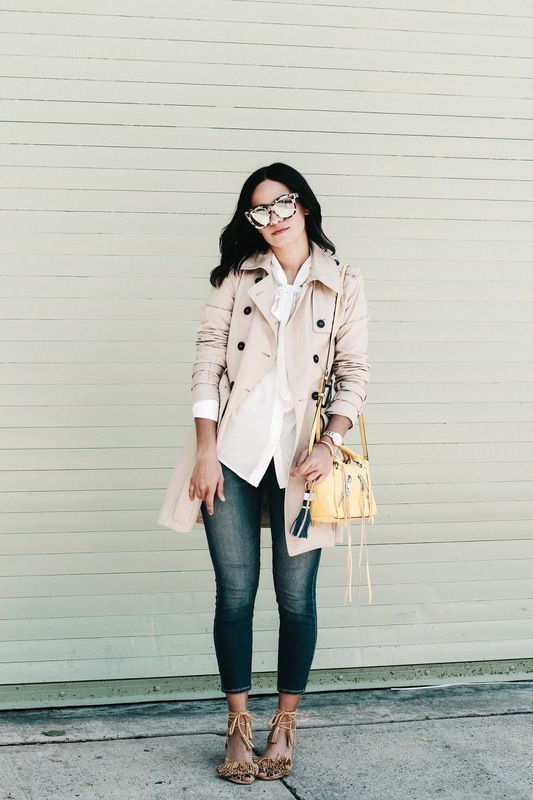 In the comments below tell me what's your favorite way to wear denim during the transitional months. those outfits are amazing! my fav is definitely the last one! This look is so cute! <3 Love the shorts and the shoes!